This classic timepiece was originally designed for divers to be able to track their time spent under water. Its popularity stretches far beyond its durability, however. What makes the quality of this watch is not just its waterproof nature, but its bezel and metal type.The yellow gold and sapphire crystals blend together beautifully. 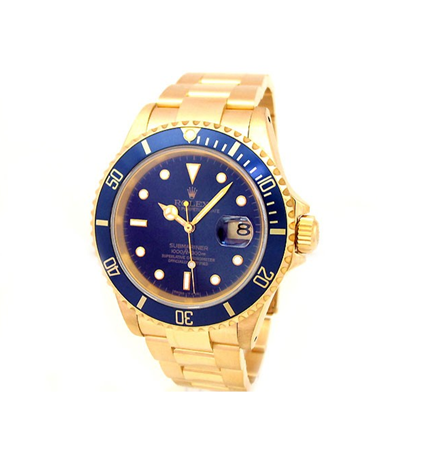 The blue dial is definitely a favorite look of the Submariner. Named after the racecar capital of the world, Daytona, Florida, the Cosmograph Daytona uses its hypermasculinity to its advantage, as it has become one of the most popular men’s watches in the market. It’s a model for luxury gone sporty. This performance-driven watch consists of sub-dials that enhance its look and technical aspects. Its reliable tachymeter and chronograph scales allow racers to track their speed with ease. Nicknamed “The watch of the open seas,” the Yacht-Master models were designed with the spirit of the sailor in mind. 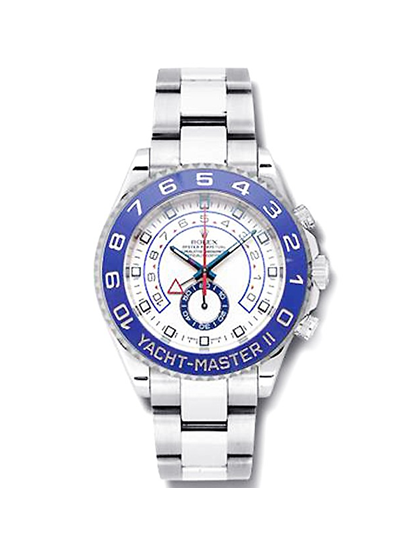 While the original Yacht-Master focused more on aesthetics, the Yacht-Master II is more functionally-driven. The technology behind the Yacht-Master II’s chronograph was made in order to pay dividends to the rich heritage of sailing and yacht competing. 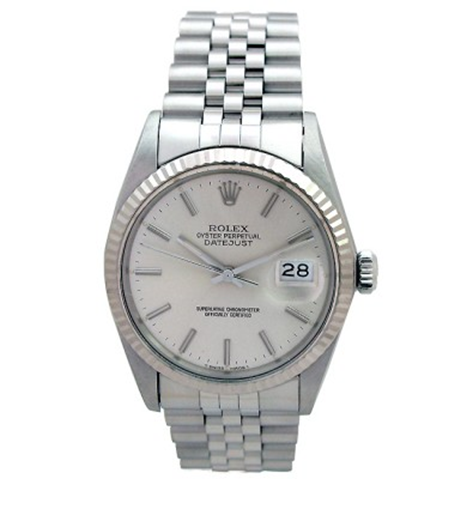 The Day-Date line was introduced as the first wristwatch to have display windows of both the day and date on the dial. 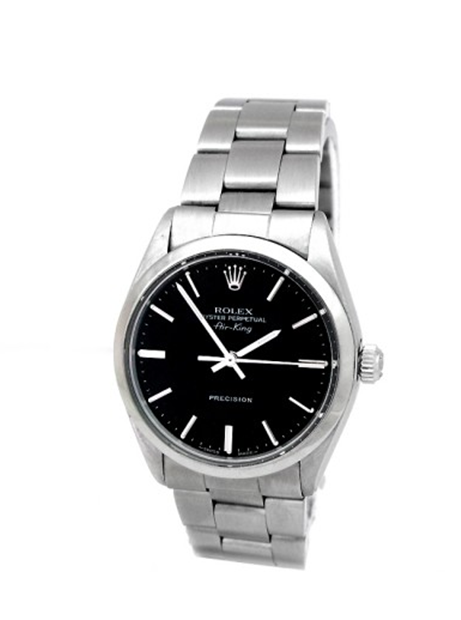 Arguably one of the most luxurious models of the brand, the Day-Date line includes the President labeled watches, which are associated with President Eisenhower. The black Roman numeral dial and yellow gold band of the Day-Date II is the perfect look for those gents wanting to emulate high prestige and class. The Day-Date does more than just tell time. 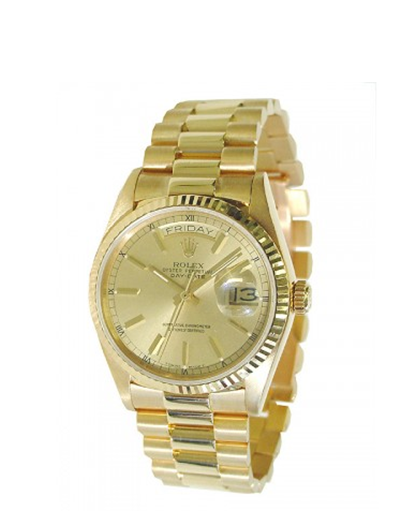 Rolex is known for its high-quality 18k gold. The 3155 calibre movement of the watch is a certified Swiss chronometer and extremely reliable. This efficient and easy to read watch is well-suited for businessmen. The champagne dial and gold-toned hands give it luxurious appeal. Designed for the everyday explorer, the Explorer models are made to help those navigate through their adventures and journeys. It’s easy legibility and precision includes 24-hour markings, a date display, and minute markers around the rim. 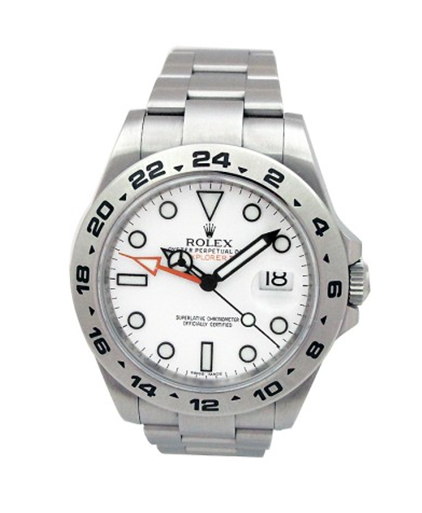 The clean white dial and hour markers of the Explorer II give it a minimal yet bold look for a clear finish. Another model engineered for divers and sea explorers, the Rolex Sea-Dweller is equipped with a thick case that will sustain high-pressure environments. Its waterproofness at incredible depths allows divers to go deep into depths of even 4,000 feet. This timepiece is not only technologically marvelous but can be worn casually, as well. Used by pilots and aviators, this professional watch was designed in partnership with Pan American Airways. 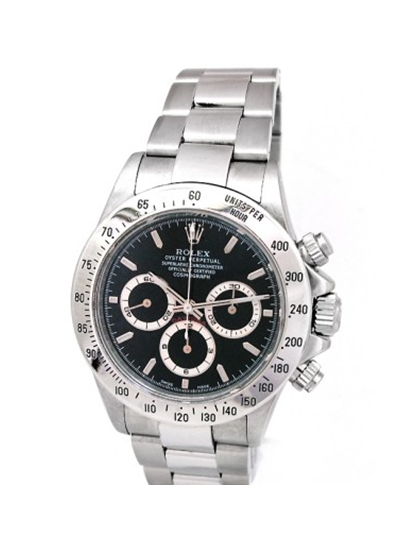 The original design had a 24-hour time display to be able to set to a different time zone, such as GMT. 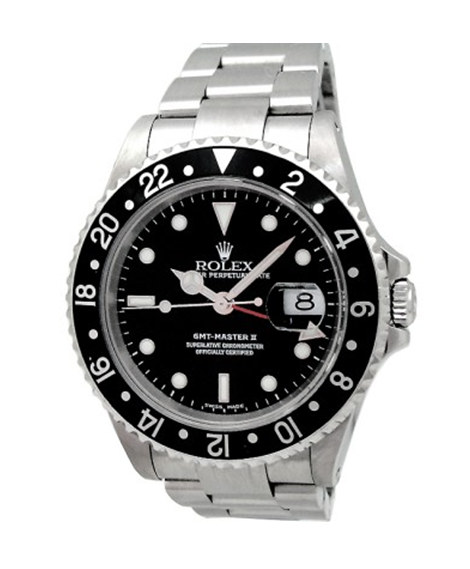 The GMT Master II is very similarly designed, but with updated technology that allows users to easily adjust the hour to local time without changing the minute hand or stopping the seconds. The rotatable bezel of both models helps wearers have three different time zone references at-hand. 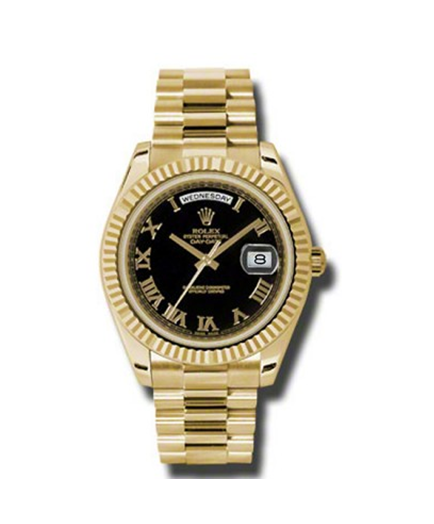 The vintage Rolex Date Just was the first-ever watch to display the date and have self-winding capability. This versatile watch is simple, reliable, and versatile. 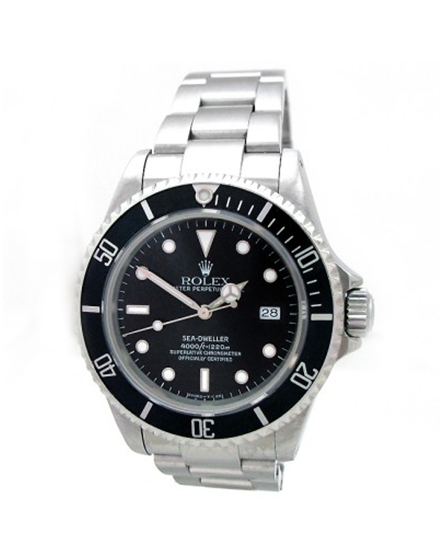 Wearers can enjoy the easy viewing of the time and clean finish of the watch. Another aviation-themed line, the Air-King model was designed to honor the British Royal Air Force pilots who fought in WWII’s Battle of Britain. Although older models are a rare find, they are worth the catch. Resembling that of the Explorer, the Air-King offers a sleek design with distinctive legibility.